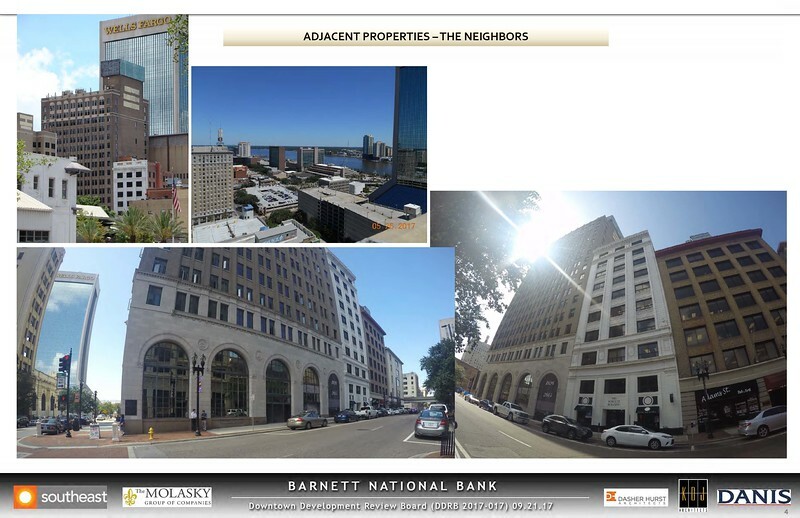 On Thursday, September 21st, Jacksonville's Downtown Development Review Board (DDRB) granted conceptual and final design approval for the long awaited mixed-use project known as The Barnett. 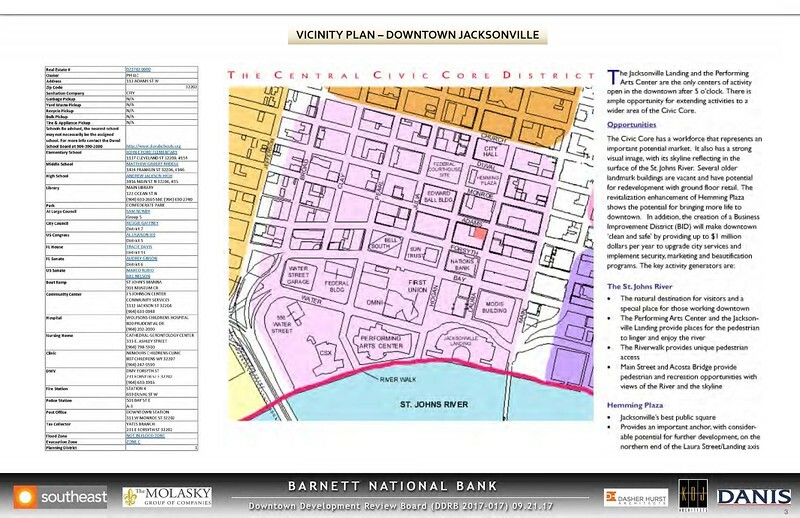 Here's a brief look at what will be coming to Downtown Jacksonville. 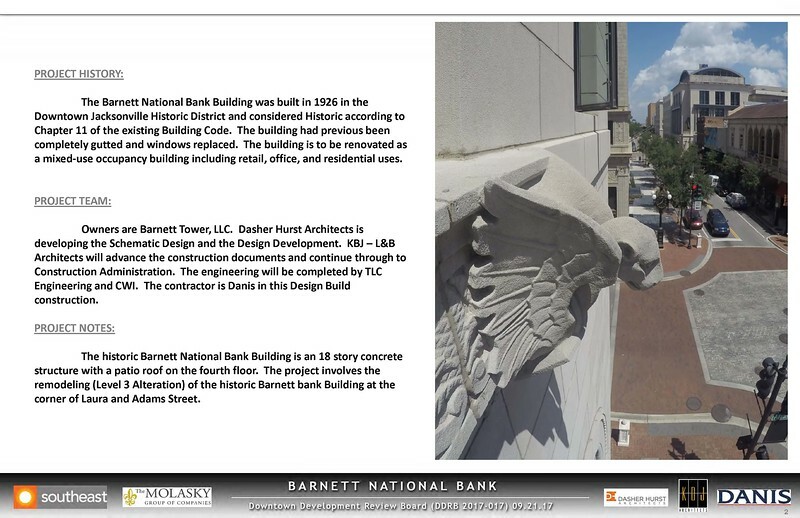 Built in 1926, the 18-story Barnett National Bank Building will soon be renovated as a mixed-use project involving retail, office, and residential uses. 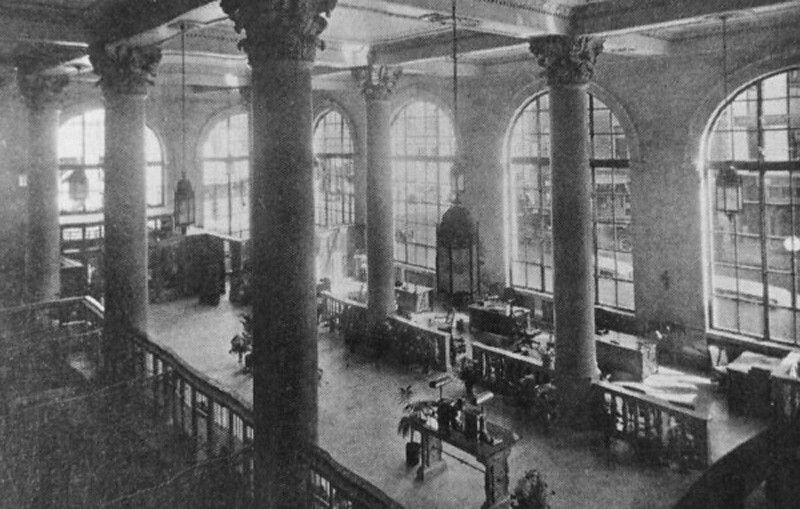 The Barnett Bank story began on May 7, 1877, when William Boyd Barnett opened the Bank of Jacksonville. Established with a capital investment of $43,000 and a staff consisting of Barnett, Bion as bookkeeper and one other clerk, only $11,000 was deposited into the bank the first year. In 1908, with its twenty year national charter expiring, the bank reorganized and changed its name to the Barnett National Bank, in honor of its founder. 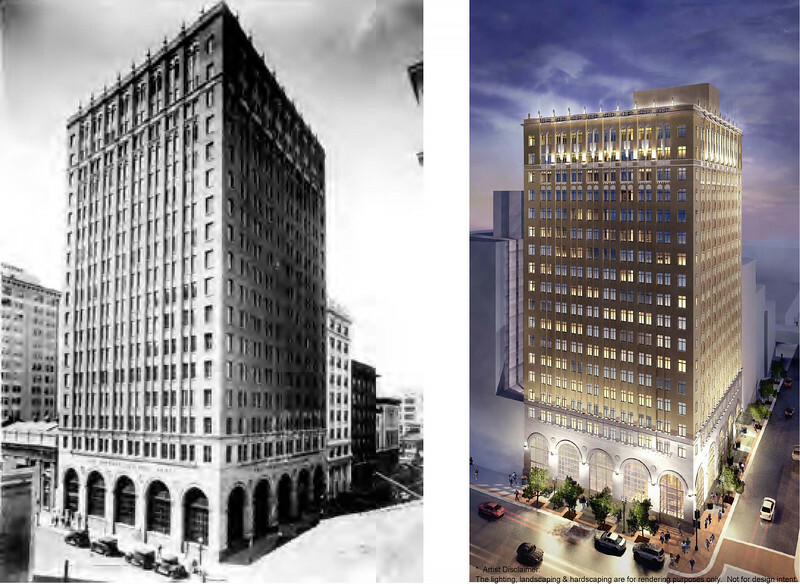 Barnett grew steadily over its first fifty years, necessitating the construction of this $1.5 million banking and office center in 1926. The Barnett Bank Building became and remained the city’s tallest skyscraper until the construction of the Prudential Building in 1954. 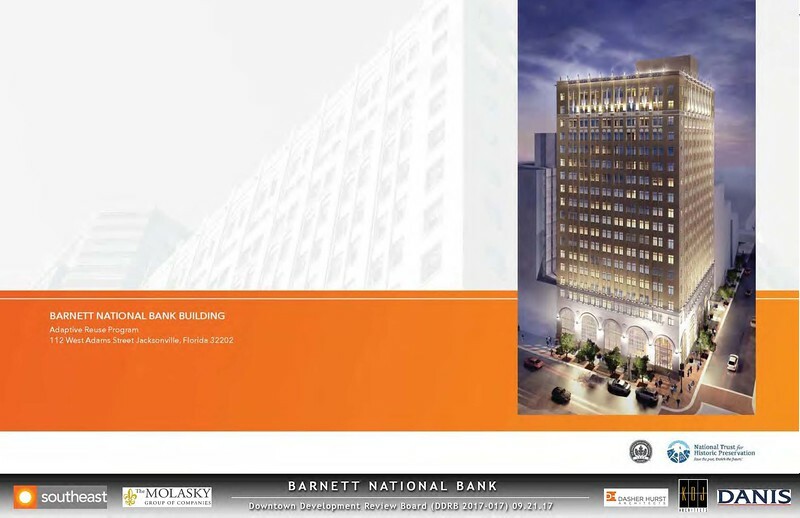 Over the years, Barnett grew to become Florida’s largest bank and a Fortune five hundred company in 1995 with revenues of $3.10 billion. At its height, it employed nearly 19,000. In 1997, Nations Bank announced plans to acquire Barnett, making this the largest banking merger in American history. Soon, a $34 million, 16-month Barnett Tower LLC. 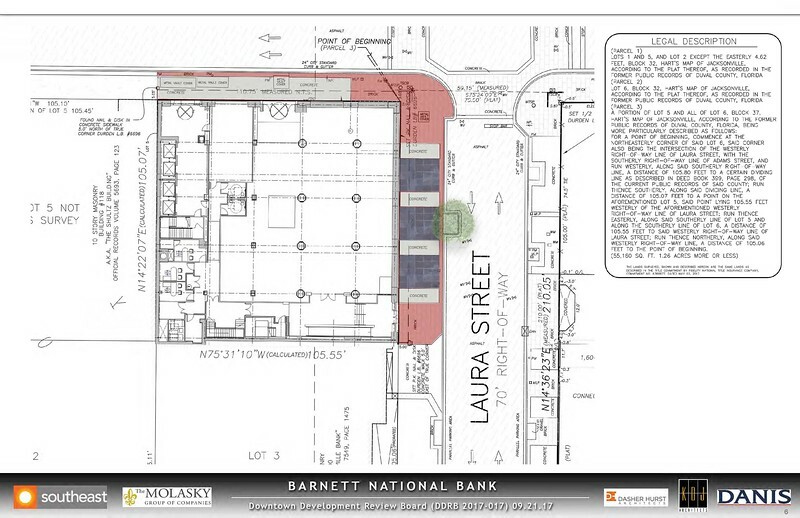 project will convert the long abandoned structure into a retail bank on the ground floor and mezzanine levels. JP Morgan Chase Bank has been said to have interest in being an anchor tenant. Roughly 40,000 square feet of office space will be located on floors three through seven and 100 market-rate apartments will be located on floors eight through eighteen. 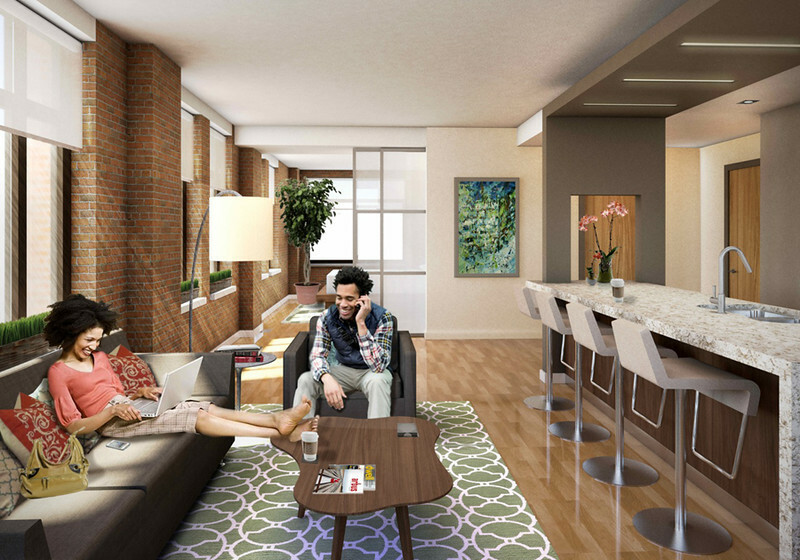 Apartments would be priced as low as $750/month for 513-square-feet. Higher end apartments would be priced around $1,350/month. Recently, two building permits have been issued for $399,250 worth slab work and another $258,700 worth of interior demolition. The long awaited project’s design and construction team includes Dasher Hurst Architects, KBJ-L&B Architects, TLC Engineering, CWI and Danis Construction. 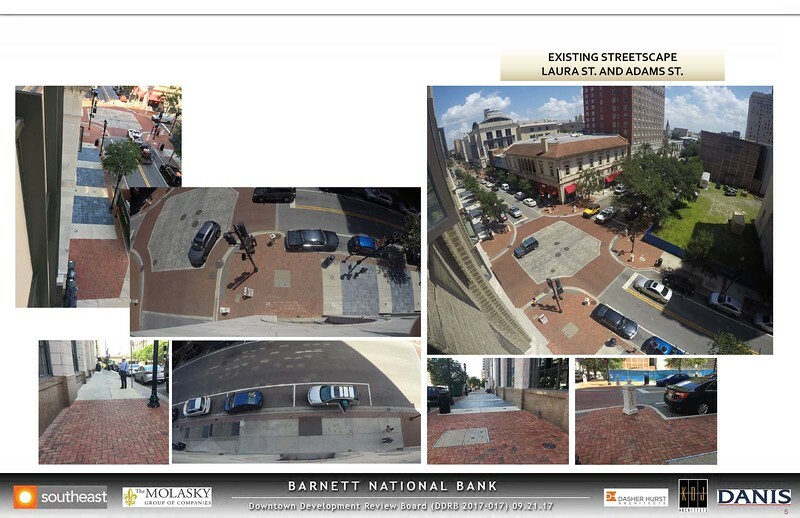 In addition, plans call for $44 million to be spent turning the adjacent vacant Laura Street Trio into a mixed-use project featuring a Courtyard by Marriott boutique hotel.